The holidays are typically a time when families and friends get together. If you’re a high school senior, it’s just a matter of time before your relatives bombard you with questions about what colleges you’re applying to and if you’ve declared a major yet. 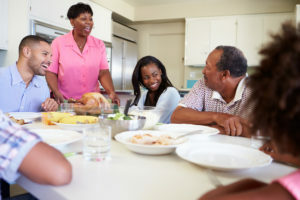 Family gatherings can be fun but they can also be awkward and stressful, particularly if the topic of the conversation makes you feel uncomfortable. Although talking about college as a senior is very relevant, sometimes you just want a break from it all. For example, if it’s the fifth time your grandma asks, “What colleges are you applying to?” or your cousins are pressuring you to apply to their alma mater, you might want to politely ease out of the conversation. Introduce a new topic of conversation such as how your favorite sports team is doing.